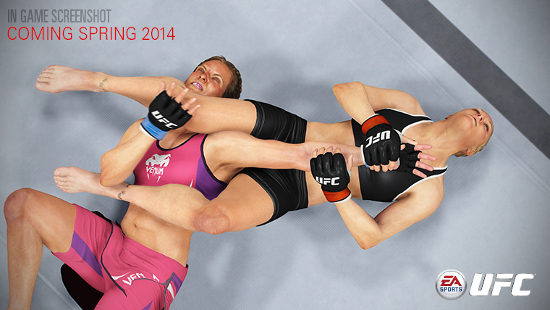 At last June’s E3 eight core gameplay features were revealed by EA Sports for their first UFC title. Quite a lot of time passed – understandable given there was about a year until expected release at that point – before the company followed up with some more significant news on the game. A trailer was recently released going over many of those same concepts and now more detailed descriptions of those areas have been provided. The first step to putting you in control of realistic, world-class fighters is creating believable movement. Partnering with the EA SPORTS FIFA team and leveraging all new EA SPORTS IGNITE technology, EA SPORTS UFC has created a locomotion system that eliminates sliding and skating around the canvas and instead emulates the complex footwork of a real fighter. Not only will a fighter’s movement create a more believable athletic performance, but the design team also took special care to give the user as much control over that movement as possible, drawing a line between regular locomotion and fight-specific maneuvering. One of the toughest features to realize, but also one that best represents the realism that next-gen tech offers, Full-Body deformation will be the exclamation point on every strike and submission battle. Full-Body Deformation allows a fighter’s flesh to react as it would in reality, displacing or rippling when met with the impact of a blow or the pressure of an opponent’s submission attempt. Forget always looking up at the HUD. 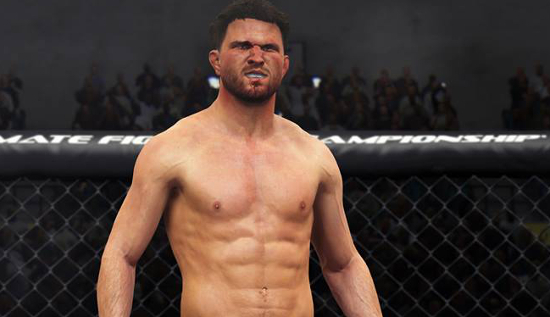 Damage in EA SPORTS UFC will look better than ever and give gamers the perfect ammunition for trash-talking their opponents during a fight. No matter how much damage a fighter absorbs, gamers can rest assured they’ll always be able to go the distance, so long as they manage to stay conscious. A staple of any great fighting game, exertion will be a lot more intuitive in EA SPORTS UFC and like Real Damage, provide you with the visual cues to know your fighter is expending a lot of energy without having to glance up at the HUD.